Test drive vehicle & visually inspect braking system. Must present offer prior to service. Offer includes a FREE performance multi-point inspection and leak test of A/C system to determine exact ... [More] operating condition, plus check belts and hoses for wear. Brakes are very important when it comes to your ability to properly slow or stop your vehicle. Brakes should be regularly serviced and any brake issue needs to be inspected as soon possible. At Poway’s Precision Automotive in Poway, CA, we are the top choice for auto repair and service in the area for high quality repairs and excellent customer service. Our ASE certified technicians are experienced with most makes and models of vehicles and can assist with any brake issue you may have. 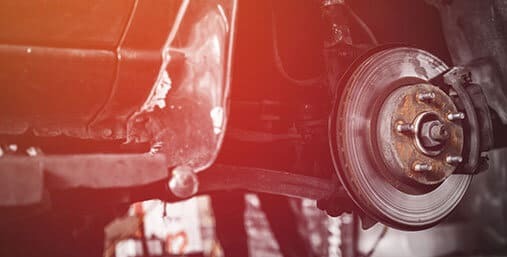 Here at Poway’s Precision Automotive, we also can take care of your vehicle’s brake maintenance and service. An important brake system service in brake fluid exchange. Our experts will perform a test on the brake fluid which measures the copper content or the water content of the fluid. This will help us determine the condition of the brake fluid and whether a brake fluid change is needed. Many brake components, like the brake master cylinder, ABS control module, and calipers rely on clean, moisture-free brake fluid to prevent corrosion buildup. 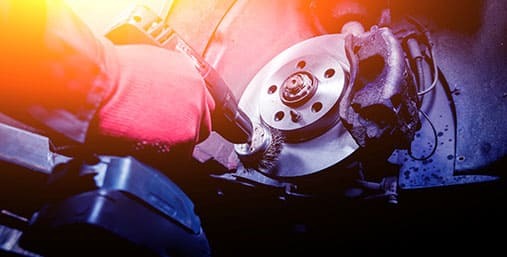 If your vehicle needs a brake repair or service, come see us at Poway’s Precision Automotive in Poway, CA.